Rare & Fantastic Condition Victorian Treen Two Part Butter Mould. Hand Carved pineapple. 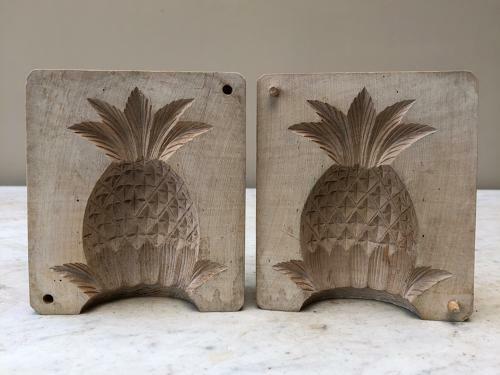 Pineapples were considered lucky by the Victorians. Such detail. One side has pegs, the other holes & it fits together. Runny butter put in the base then put in the fridge to set and when the moulds are taken away you are left with a 3D Pineapple.